Are you engaged planning to get married this year? Are you single or not yet engaged? Then something great is coming your way! For couples planning to get married this year, simply post a short video of you and your partner singing Adekunle Gold’s single “Sade”. If you are not planning to get married this year, also post a video of yourself singing Adekunle Gold’s single “Sade”. Record a short video of yourself singing the Sade song. 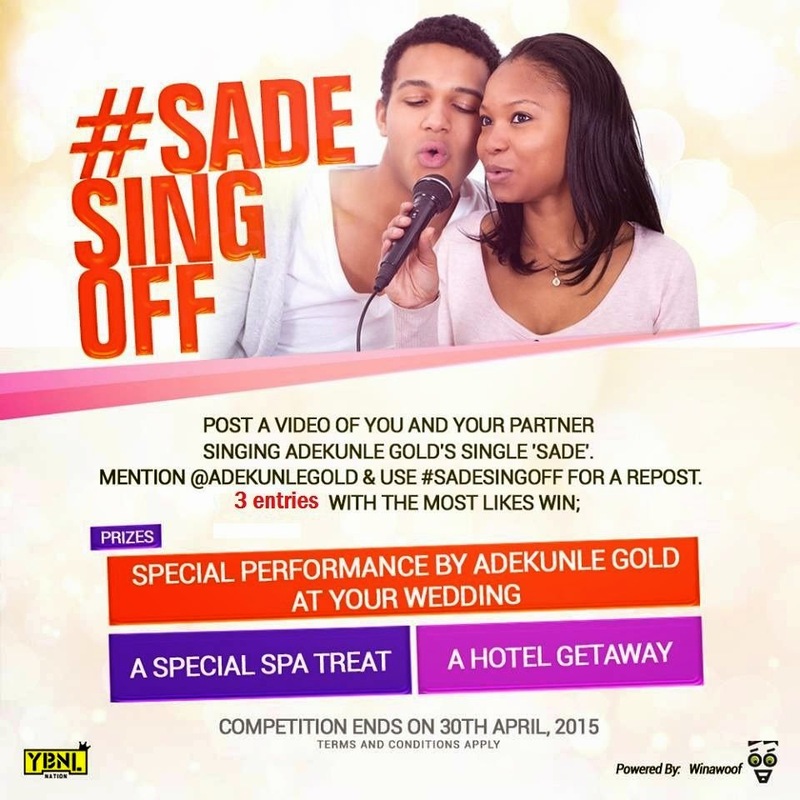 Post the video on Instagram or Twitter @Adekunlegold using the hashtag #SadeSingOff. Tell your friends to Like or Share. The 3 Videos with the most Likes WINS!!!!!!!!!!!!! !